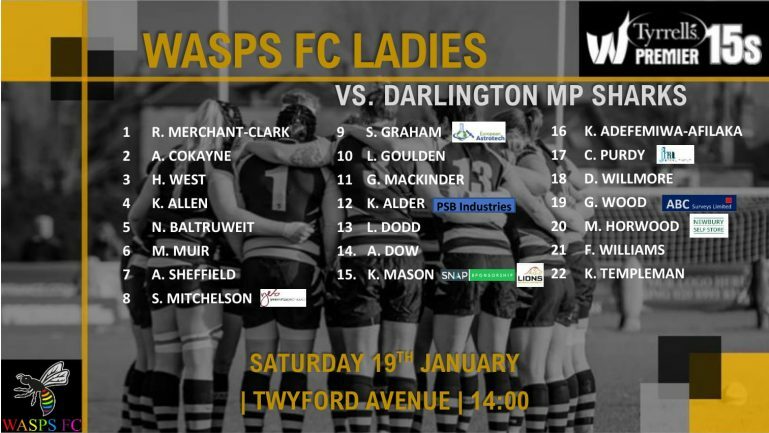 Wasps make a number of changes as they host Darlington Mowden Park Sharks as the Tyrrell’s Premier 15s season enters the latter stages. With just four fixtures left before the play-off places are decided, Wasps will be looking to build momentum following a strong result against rivals Richmond last weekend. With Wasps just one point ahead of play-off contenders Gloucester-Hartpury, they will want to ensure they pick up maximum points at home this weekend, as Gloucester-Hartpury have a difficult fixture hosting Saracens. The hosts have made six changes to the side that picked up a six try victory over Richmond last weekend. Katie Mason (Sponsored by Lions Sports Academy & Snap Sponsorship) moves to full-back, as Wasps welcome back England international Abby Dow in her first fixture since October. Garnet Mackinder also earns a starting spot on the opposite wing, having demonstrated her clinical nature, picking up two tries last weekend. Louise Dodd rejoins club captain Kate Alder (Sponsored by PSB Industries) as the centre pairing. 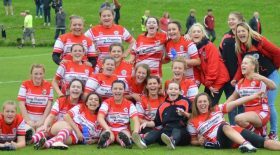 Louise Dodd has been in fantastic form of late, picking up two tries in her last three appearances. Sammy Graham (Sponsored by European Astrotech) earns a spot at scrum-half following an impressive performance in the development side last weekend, picking up a brace of tries in the process. In the backrow, experience and youth combine as Sarah Mitchelson (Sponsored by Yes Mortgage Ltd) and Alice Sheffield are joined by the youngest ever Wasp to appear in black and gold, Maud Muir. Maud Muir will be making her first ever start for Wasps, and has already caught the eye of the England selectors, having been on the England Women Talent Development Group camp back in September. The final changes sees Kasey Allen add to the over 100 caps already to her name, as she joins Nora Baltruweit in the second row. Wasps opponents this weekend, Darlington Mowden Park Sharks, find themselves in ninth spot in the league this season, with just three wins so far. They were on the wrong end of a strong performance by Loughborough Lightning last weekend, as they fell to a 53-14 defeat. Wasps will be hoping for a similar result to when they travelled to the Northern Echo Arena earlier this season, as they put six tries past the Sharks in a 38-0 victory. The FA WSL Academy Cup and Plate semi-finals.